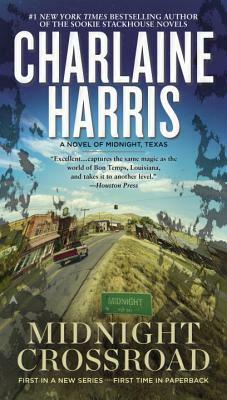 Harris is a gifted storyteller with the ability to draw in readers and keep them glued to the pages. Midnight Crossroad may be her best book yet. I gulped it down in one sitting and am now impatient for the next book. The characters are beautifully drawn, the plot moves along at an excellent place, and the sly touches of humor leaven what can be a rather creepy story. Harris is at the top of her game here, and that means it’s one of the best books you’ll read this year.